On a farm just outside of Sacramento, hundreds of prehistoric-looking fish swim around in 50-foot diameter tanks. These are white sturgeon, the largest freshwater fish in North America. They've been around since dinosaurs, can grow more than 7 feet long and lay hundreds of thousands of eggs at a time. 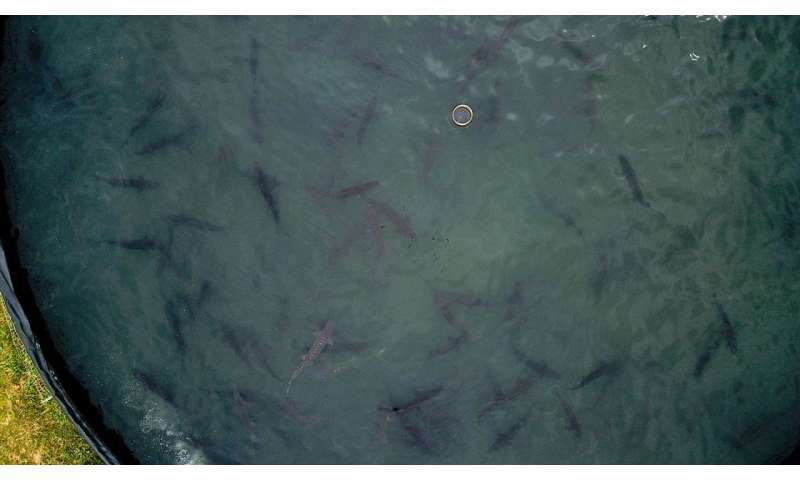 The roe of these sturgeon are harvested for a boutique food producer regally named Tsar Nicoulai Caviar. While a Sacramento Valley farm may seem an unlikely location for such delicacies, the white sturgeon's native habitat is just a few miles away in the Sacramento River. 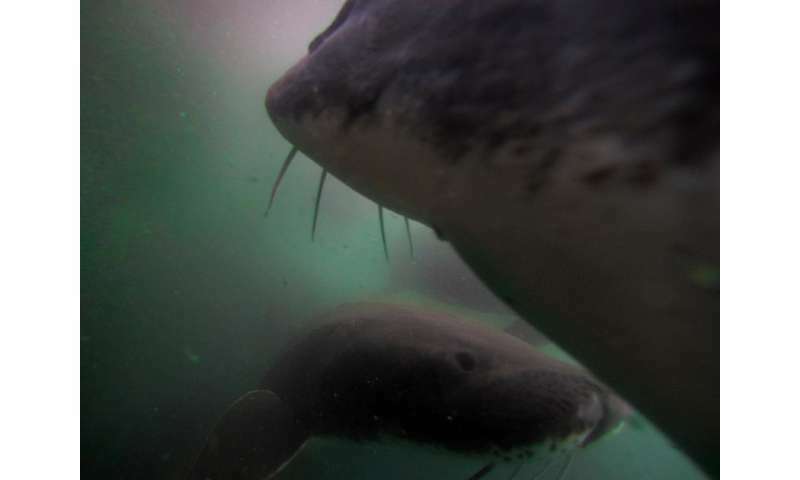 When wild beluga sturgeon populations in the Caspian Sea began to plummet in the 1980s from overfishing, University of California, Davis, aquaculture experts went to work to breed the species in captivity in the state. "One of our best caviars is the closest thing to a sustainable beluga sturgeon, that unctuous freshly salted farm butter flavor, the foie gras of the sea," said Ali Bolourchi, the vice president of farm operations for Tsar Nicoulai Caviar. Bolourchi often speaks like a chef, since he spends much of his day promoting the virtues of his caviar to some of the nation's finest restaurants and retailers. Caviar is a quality-based item, said Bolourchi, not a commodity. "It's never been about how many tons we can produce. For us, it's about how you can do a better job for the fish, for the land and ultimately produce outstanding caviar," he said. 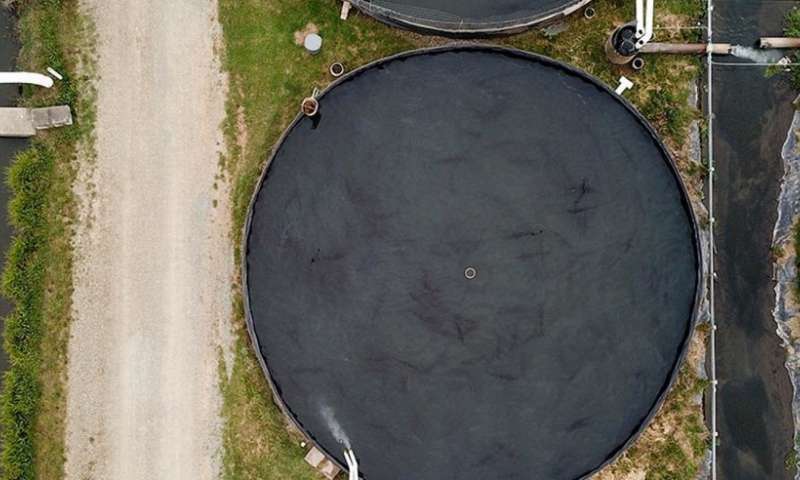 "It's unfortunate we call it a waste stream because it's really a nutrient stream," said Jackson Gross, an aquaculture specialist with UC Davis in the Department of Animal Science. Gross advises the farm on everything from fish reproduction to wastewater management. Tsar Nicoulai is now using the "nutrient stream" to grow something they can sell: vegetables. 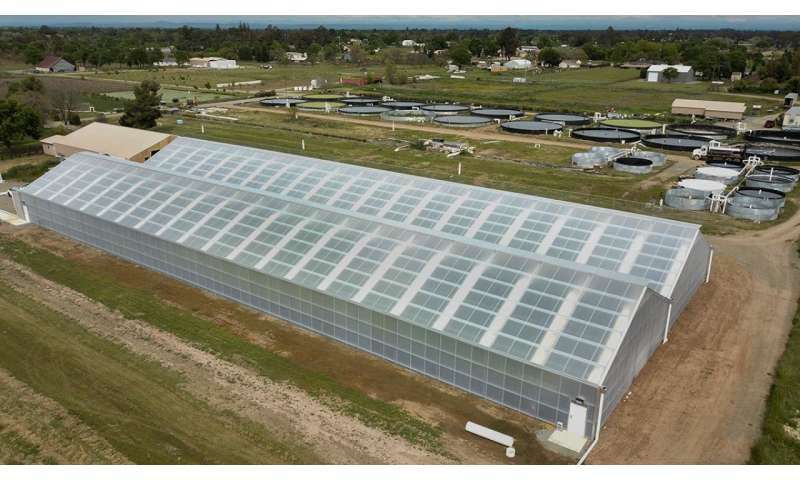 They built a 24,000 square-foot greenhouse. Inside, thousands of heads of organic butter lettuce float on foam rafts, their roots dangling through holes into the water. The fish waste in the water helps the plants grow. Here's how the aquaponics system works: The sturgeon excrete ammonia through their gills and urea into the tank water. Bacteria break that down into nitrate, a plant fertilizer. 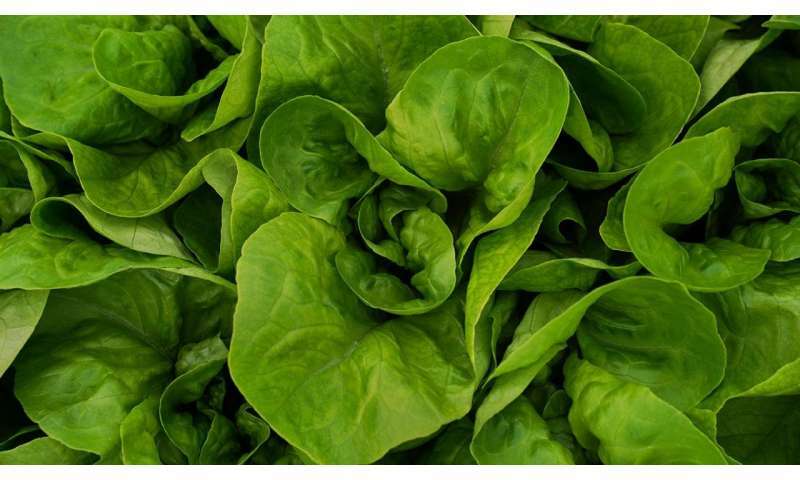 The nutrient-rich water is then piped to the greenhouse and is filtered and taken up by the lettuce. The water returns back to the fish tanks much cleaner. It's a closed loop system. "The butter lettuce that we have here is working for us. They're removing the nutrients and cleaning the water so that we can have more recycling power," said Mark Bolourchi, president of Tsar Nicoulai. "And I love lettuce." While aquaponics systems have been around for a long time, many in the U.S. are small-scale, set up by hobbyists in their backyard. 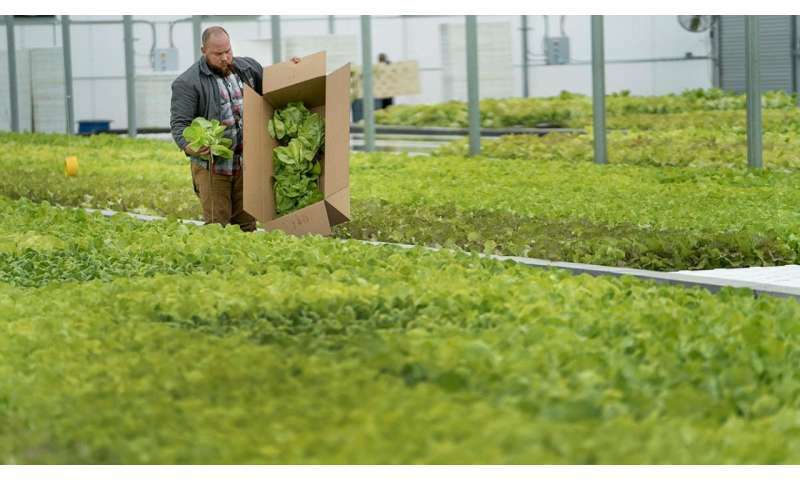 The larger commercial aquaponics farms typically don't have sustainable seafood as a goal; the fish are nothing more than fertilizer for the vegetables, Gross said. But Tsar Nicoulai is different. "They're optimizing food production on the fish side and optimizing food production on the plant side," Gross said. Aquaponics systems on this scale aren't cheap. They can be energy intensive. Pumps are used to move and aerate water. Heaters and chillers may be needed to keep the right water temperatures for fish, plants and bacteria to thrive. It can be a complex balancing act and an expensive undertaking. But Tsar Nicoulai seems content to take on those challenges. Next year, the company intends to install solar panels that will help supply the farm with renewable energy. "The goal really is to be more sustainable," Ali Bolourchi said. "We hope that our success drives other fish farms to use resources that were formerly wasted." 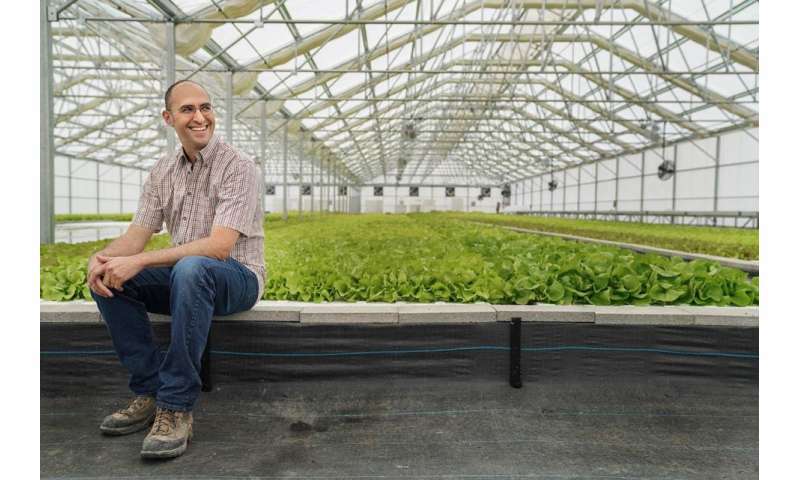 Gross doesn't see aquaponics replacing land-based farming or competing with commodity crops. But when used well, he said it can increase local food production and make communities more climate-resilient. Aquaponics can also provide fish farmers a new financial stream. It's time to order that smoked sturgeon salad made with organic butter lettuce. Is fish poo the key to feeding the world's growing population?